The Mongoose Salvo Comp bills itself as an out-and-out XC rig. So, even though it has 120mm of travel and 650b wheels it could almost be forgiven for having the longest stem and shallowest tyre tread. Less easy to gloss over was its weight. At 15.23kg, the Mongoose Salvo Comp is certainly too heavy to be considered competitive for pure XC duties. The alloy frame also lacked some of the features you’d expect to see on a modern full-suspension bike, the key one being the absence of a tapered head tube, for improved front-end stiffness. This could also lead to compatibility problems further down the line, as forks with straight steerer tubes are increasingly hard to find. 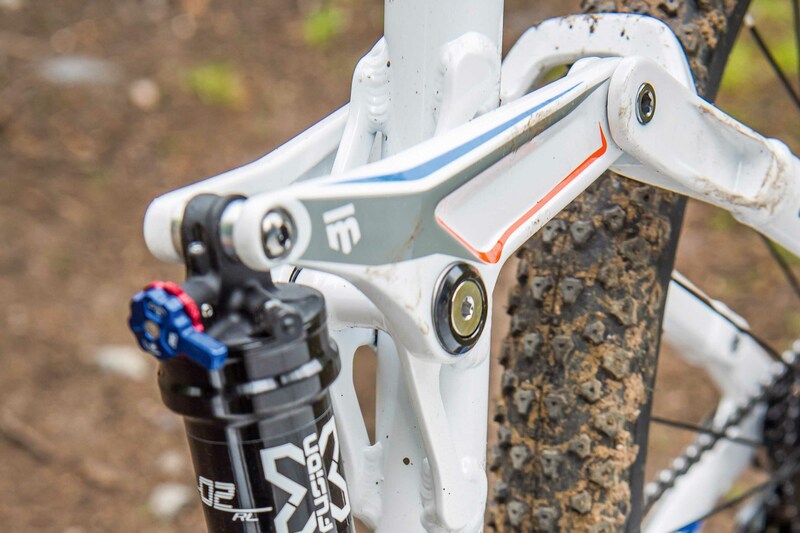 Still, the Mongoose does have a clever suspension design, where the rear shock is mounted on a little alloy nub that extends from the main pivot. So as the suspension compresses, the relationship between the shock and the upper link changes, helping offset the ramp-up that’s inherent in all air shocks. An added bonus of the design is that the uninterrupted seat tube meant that we had no problems slamming the saddle all the way down on the descents. 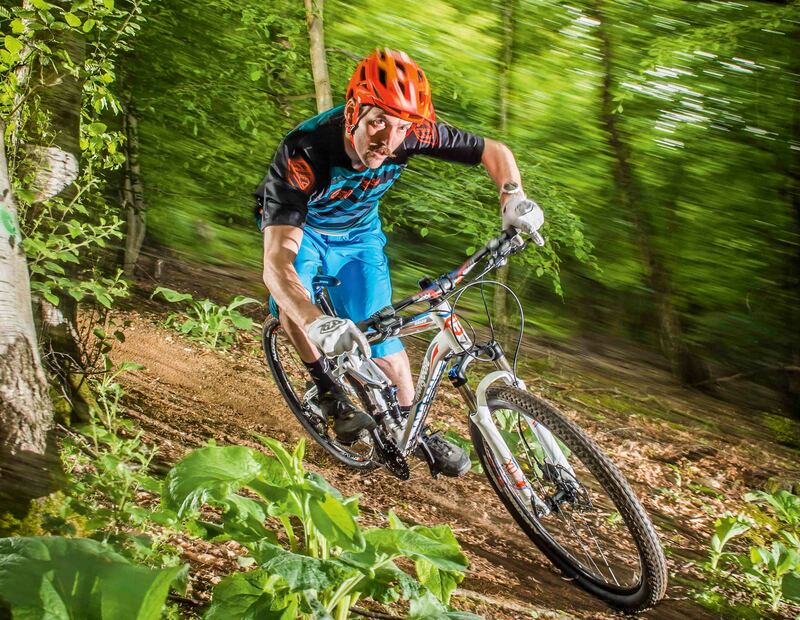 Granted, that’s not something a typical XC rider would do, but it makes it much easier to tackle tricky downhills. 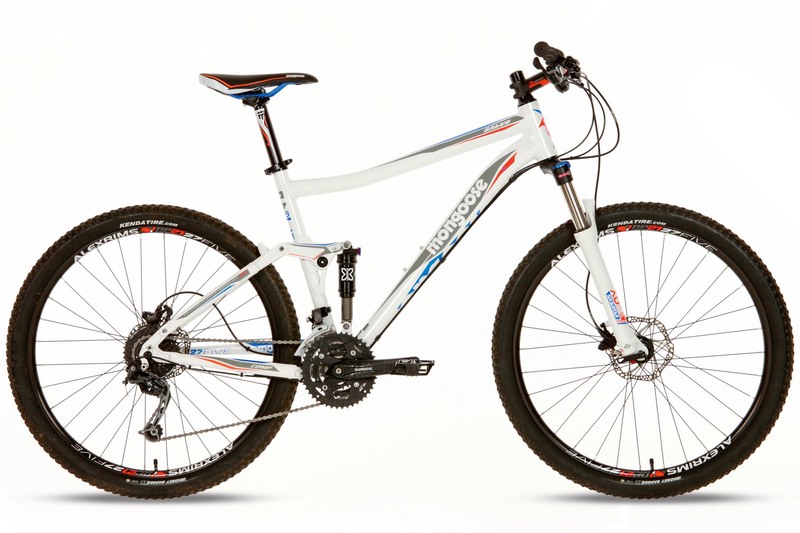 For an XC bike, the rear suspension on the Mongoose was really good. It had great small bump sensitivity, resulting in tons of grip and ample comfort, but it also had just the right amount of support to stop it feeling like an old sofa. Being air sprung, the fork and shock were super-easy to set up, and both come with hydraulic lock-outs to firm things up for fire road hacking, or bowling along a stretch of blacktop. The damping on the Suntour fork didn’t feel quite as composed as the RockShox units on test, but it certainly wasn’t short on sensitivity or grip. 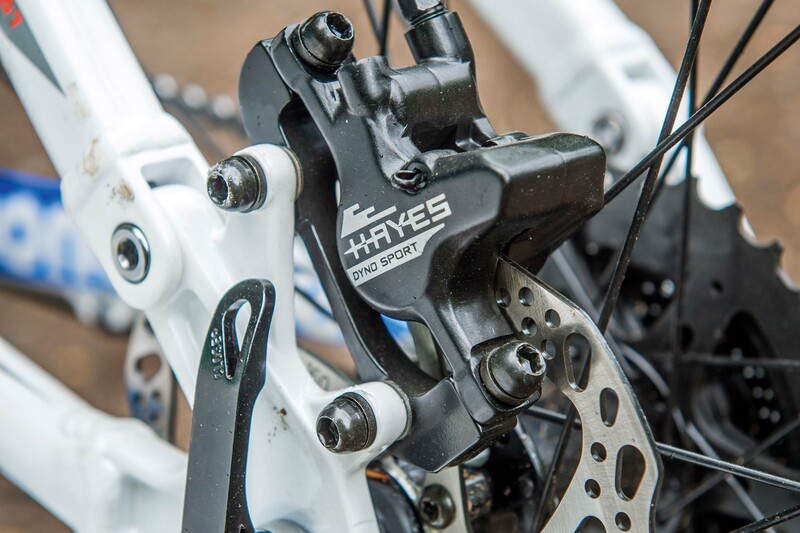 Mongoose should be applauded for taking the road less travelled, especially for its choice of suspension components, but even after just a handful of rides the Hayes Dyno brakes lacked raw stopping power. So, rather than the gloriously light, single-finger braking action of the Shimano and Avid brakes, we were having to grab fistfuls of lever to stop the Mongoose from running away from us. Yep, it was faster than we anticipated! Even with the long stem and semi-slick tyres, the Mongoose Salvo Comp proved that it could hold its own. Its suspension felt smooth, active and planted — not really ideal for an XC bike, but it inspired confidence way beyond our expectations. And with a super-low BB height, once again the bike defied its supposed XC attitude by feeling stable at speed and lightning fast in the turns. Fitting our Maxxis Control tyres and swapping the lengthy 90mm stem for a 70mm only improved the ride quality of the Mongoose further. Railing corners, pumping rollers and blasting over roots were all tackled with aplomb. And just as we were beginning to think that Mongoose had pegged the Salvo in the wrong category, there was an almighty crash of metal on metal as we landed a small jump. Then we plopped off a drop and it happened again. On closer inspection, it was obvious that the seatstay bridge was hitting the back of the seat tube when using all of the available suspension travel. Not ideal! And while Mongoose could probably argue that the Salvo Comp was never designed for riding mini downhill tracks, this shouldn’t occur on any style of bike. Still, it’s not the first time it has happened on a test bike; high profile names such as BMC, Merida and Lapierre have all suffered a similar fate. It’s hard enough at the best of times to give a bike a definitive rating, let alone when there’s a clearance issue like the one we discovered on the Mongoose. And if it weren’t for the two halves of the frame hitting as the suspension bottomed out, the Salvo Comp would have limped away with a seven rating rather than a four. Given that Mongoose has its roots in BMX, and that the suspension worked really well, the XC focus of the Salvo Comp seems misguided. With a shorter stem, and some meatier tyres, it could easily be transformed into a half-decent trail bike.